James Ruskin and his Blueprint label have been in my collection since I first became interested in techno. If you listen back to his early releases in 1996, you’ll hear how absolutely current the sound is for today’s vibe in techno. He was so far ahead of his time and truly futuristic in his taste. James was not only an inspiration as I was coming up; when we met later on, he became a friend. A few years back he asked me how I felt about working on some music together, so we found a date when I had a gig in London, and I flew a few days early so we could sit together and see what came out. We had a few ideas rolling around, but nothing final materialized from our sessions. Fast forward a few years, and every time I saw James play, he’d put on this loop that I kept recognizing but couldn’t quite place. I would run to the DJ booth and ask him what it was; I think I came up to him at least three times. He would always laugh and say that it was one of the sessions we did. It was still just a few ideas, raw and unfinished, but there was something there that we both heard. 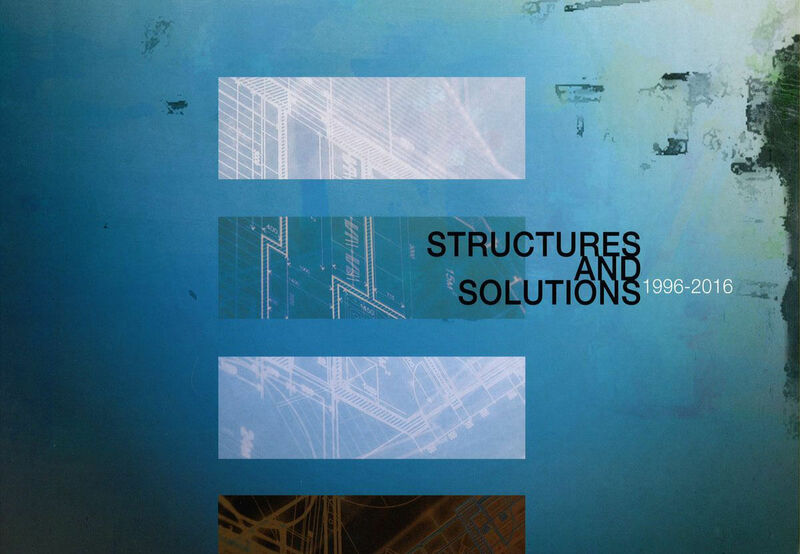 When it came time for him to put this compilation together to celebrate Blueprint’s 20th anniversary, Structures And Solutions, I was absolutely honored that he wanted us to finish and put out the track, which became “Page 1”. I never work with others, and I had never released any collaborative tracks, but this one just fit and captured both of our styles in six minutes. If you’ve listened to James over the years, you can hear the evolution of his DJing, his taste in music, his ways of curating and running Blueprint and his purist view of this music. When I finally got a chance to hear the other tracks on the compilation, I could see how his vision came together and made complete sense with all the artists, new and old. If I had to pick a few tracks that stood out for my personal taste, I would say O/V/R’s track “Metal Slippers” immediately caught my attention with that broken off-beat swing. Rolling and tough, it captures that heads-down vibe I love, like travelling down a long tunnel. Also “Pull” by Planetary Assault Systems captures the classic Luke Slater vibe with layers of rhythm. This type of track just keeps the vibe moving and only really comes alive on a big system when you can hear all the little things he does in the background. There’s also “Sheen” by Randomer, which is a straightforward track, but with that jacking vibe I look for to layer with other tracks. And finally, Regis’ “Party Spoiler Too” sounds most like some of the older Blueprint vibe I remember and always go back to.